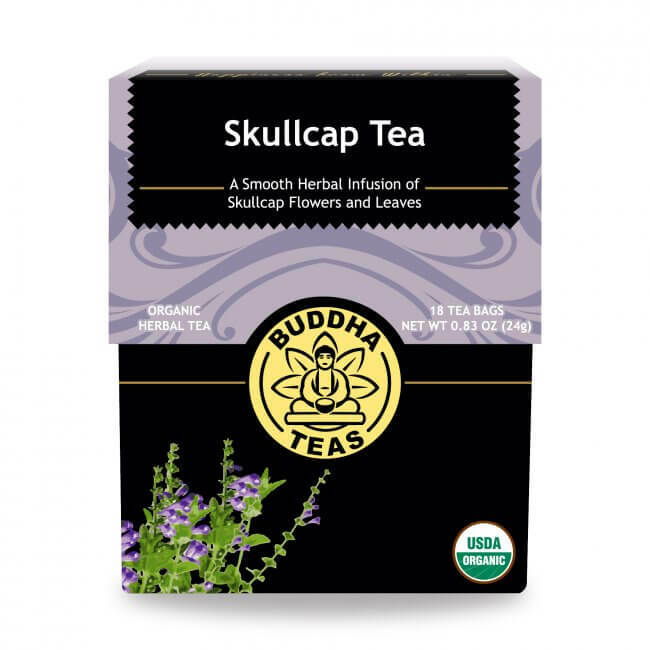 Herbalists frequently use the leaves, flowers and stems of the skullcap plant to make skullcap tea, which is often enjoyed as a delicious and comforting tea before bed. This perennial North American herb earned its name from its small, delicate purple flowers, whose petals resemble a medieval knight’s helmet. 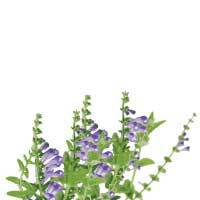 Known by the botanical name Scutellaria, skullcap is a member of the mint family. Although today, its pretty flowers and leaves have made it a pleasant plant to keep in the garden, historically, its leaves were used most often by Native American tribes to brew into an herbal tea. 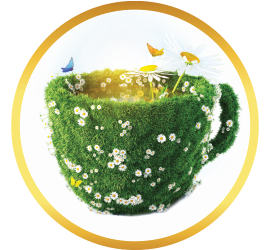 This Skullcap Tea is made from the leaves and flowers of this enchanting herb, and offers a light, pleasant fragrance and taste, a perfect choice for settling down with at the end of a long day. 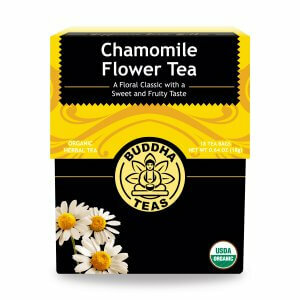 This delightful herbal is not only enjoyable, but can also be naturally nourishing. Skullcap tea provides a natural source of vitamins, such as vitamin C, vitamin E, thiamin and niacin, and also offers minerals like magnesium, phosphorus, potassium and manganese. 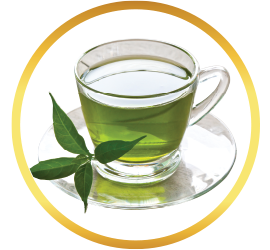 When you drink skullcap tea, you will also receive a number of constituents with antioxidant properties, including beta carotene, tannins and volatile oil. 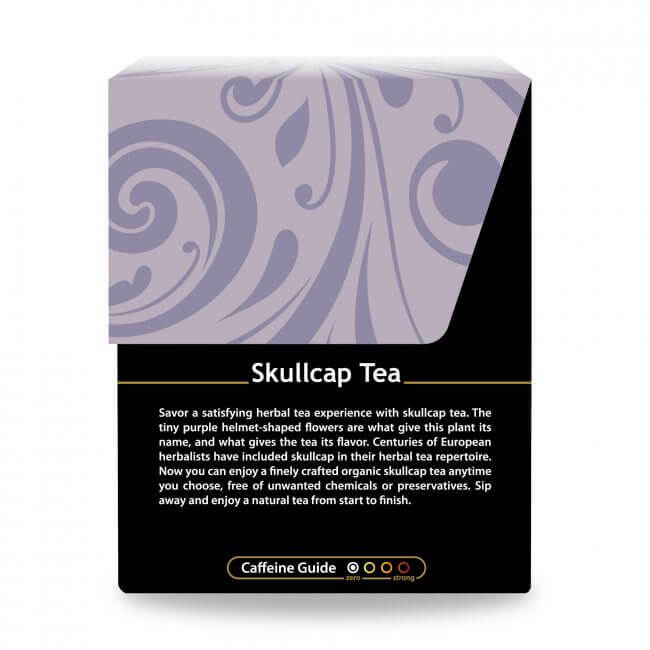 With these great qualities and more, skullcap tea proves to be a worthwhile addition to your tea collection. 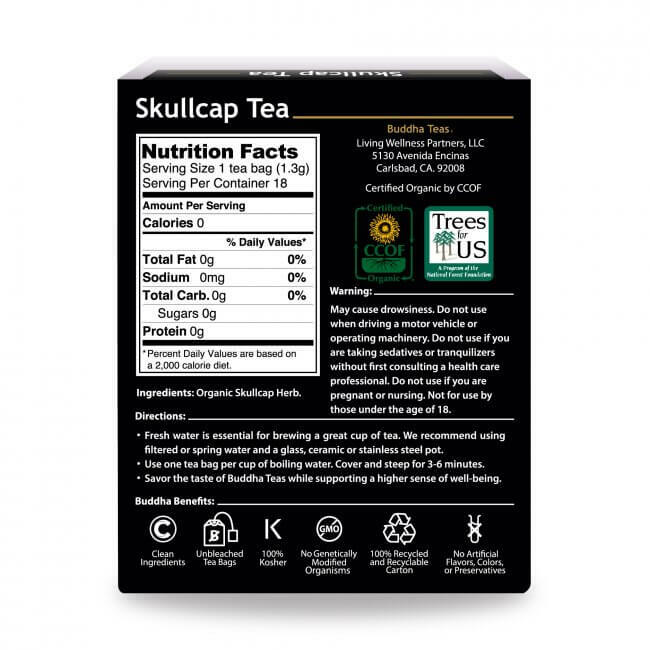 f you are looking for a wonderful new tea to try, Skullcap Tea is an exceptional and uncommon blend that many people have yet to try. 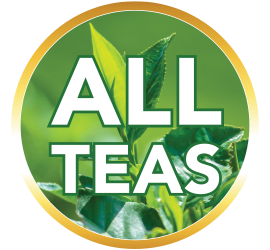 Impress your guests by offering them a tea they may have never heard of. 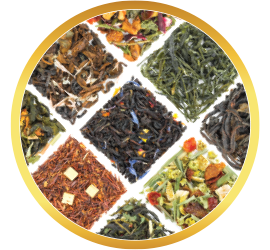 Herbal teas also make a great gift idea for nearly any occasion if you are looking for something to get for a fellow tea drinker. 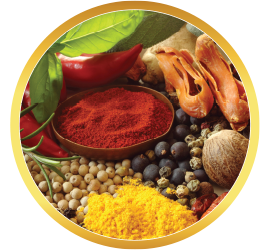 Buy more for your money with our special bulk discounts. If your order is $50 or more, you may be eligible for FREE shipping! 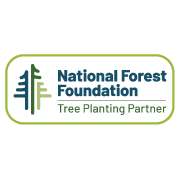 And don’t forget, we also occasionally offer great coupon codes on our product pages so you can save even more! 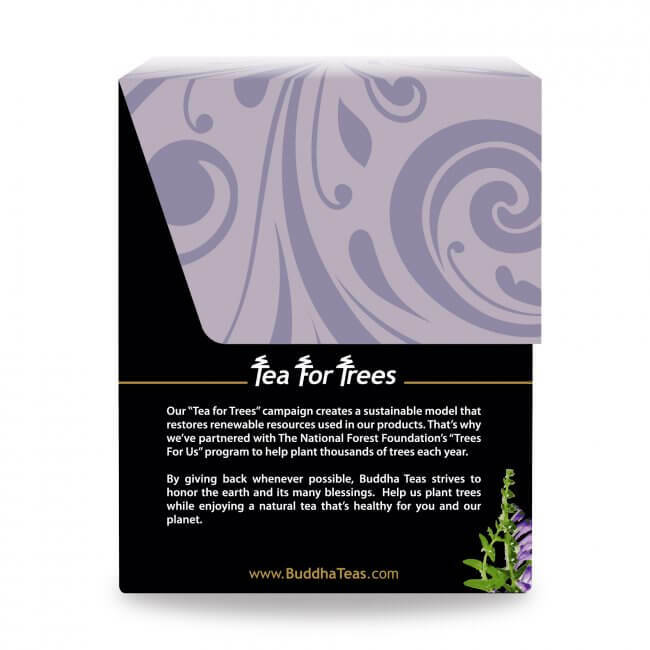 As much as I love Buddha Teas, I did not like the taste of this tea. I felt like it had a strong mushroom flavor, and I don't like mushrooms. Been drinking this at work when anxious. It really calms me down. It also has a wonderful taste, almost a minty after taste. 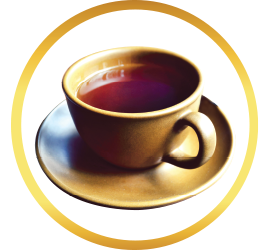 This tea definitely works for ziety and sleep issues. 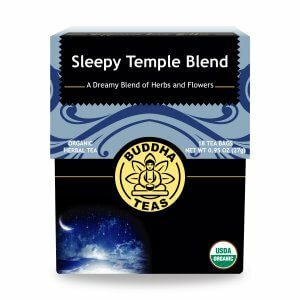 I would recommend this and I will probably repurchase (unless I try out a different Buddha Tea). This tea helped us to relax when the doctors did nothing but talk (which ironically only increased our anxieties). 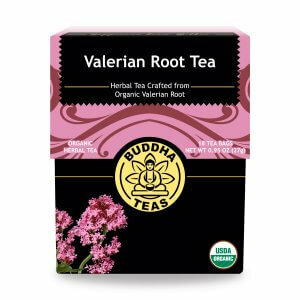 This tea had fantastic reviews in Nutrition Almanac. I used it for a good period of time. It helped with stress and I sleep well. 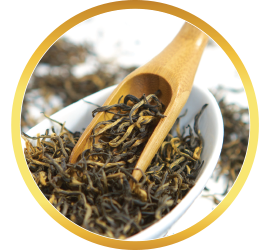 I consider it superior to Valerian as the taste is quite pleasant. 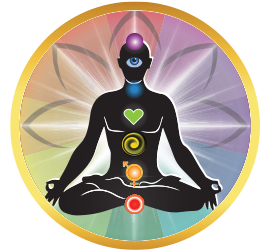 I am now using the Buddha brand as their service is excellent. Delicious and good quality. Not bitter at all!!! Review Title: I love it! I ordered five types of green tea, and the skullcap. All are excellent. The skullcap is great before bed, or at other times. My first with skullcap. A new favorite!